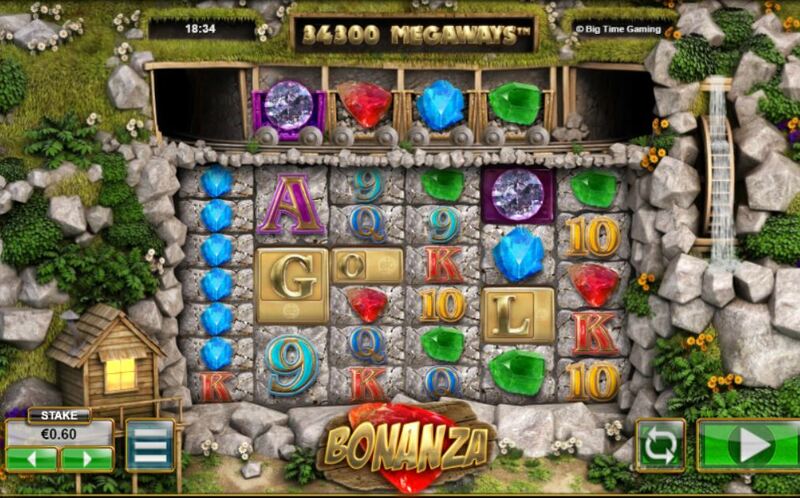 Bonanza slot from BTG is another in their 'MEGAWAYS' series and perhaps the best yet. 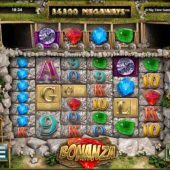 Previously they issued Queen of Riches a pumped-up version of Netent's Twin Spin and Dragon Born which had no conjoining reels but a free games feature where all spins were at the maximum 117649-ways. Bonanza has the same set-up where each of the 6 reels offers 2-7 rows on each spin but has some interesting enhancements. The theme is a Wild West gold mining one and you have the predictable twangy guitar music in the background and booming noises when the reels stop. There are stacked symbols as you'd expect but single Wilds and unlike the other 2 games mentioned above, no stacked Wilds. The first feature is an extra rolling row of 4 single symbols above reels 2 to 5 which add effectively to the ways - if you got the minimum 2 symbols on all 6 reels instead of 64 ways you'd effectively have 324 ways as the middle 4 reels would be 3 symbols high. So now we see a first for BTG's MEGAWAYS games - cascading wins! Should you get any win whether or not it incorporates any of the extra symbols above, the winning symbols disappear and more symbols cascade down to replace them. There is not multiplier for successive cascades - until we hit the free games. You need 4 gold bar scatters anywhere in view to trigger 12 free spins. They have the letters G-O-L-D on them but don't need to appear in order and you are guaranteed the feature regardless as long as 4 Gold scatters are in view. They will always display separate letters of 'GOLD'. They may drop in during a spin, or maybe 3 appear and the last one cascades down after a win.